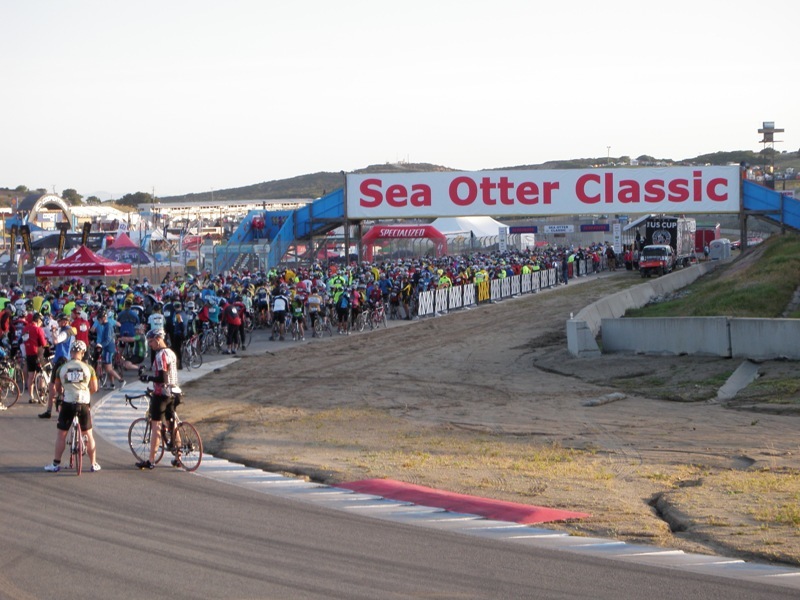 Started in 1990, the Sea Otter Classic is a multi-day celebration of cycling, attracting racers, riders, families, and friends. 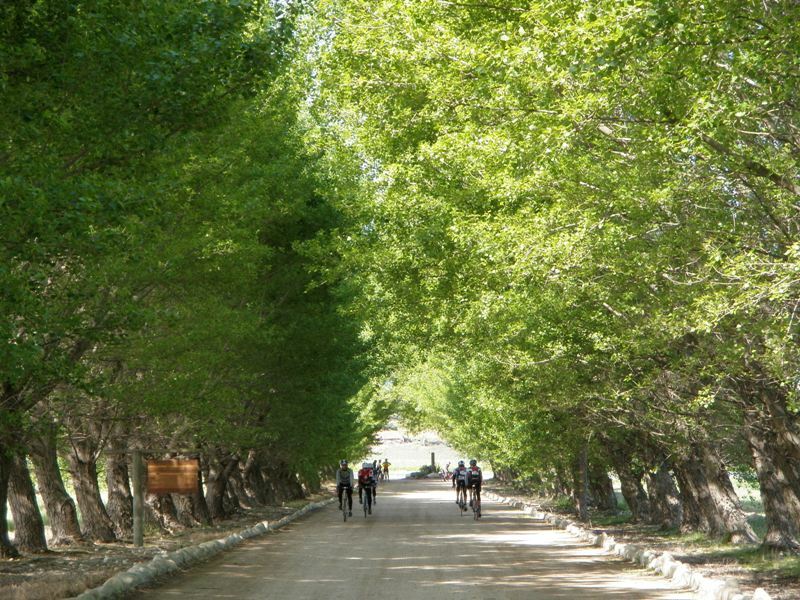 The event includes multiple mountain and road bike races as well as recreational rides. The gran fondo starts on Laguna Seca Raceway and follows the Monterey Loop through the coastal valleys. Initially the ride leads north-east on Barloy Canyon Road, before heading southeast through an agricultural area (Reservation Road, River Road, and Fort Romie Road). After Zabala's Vineyards the ride leads south-west on Arroyo Seco Road and then northwest on Carmel Valley Road. 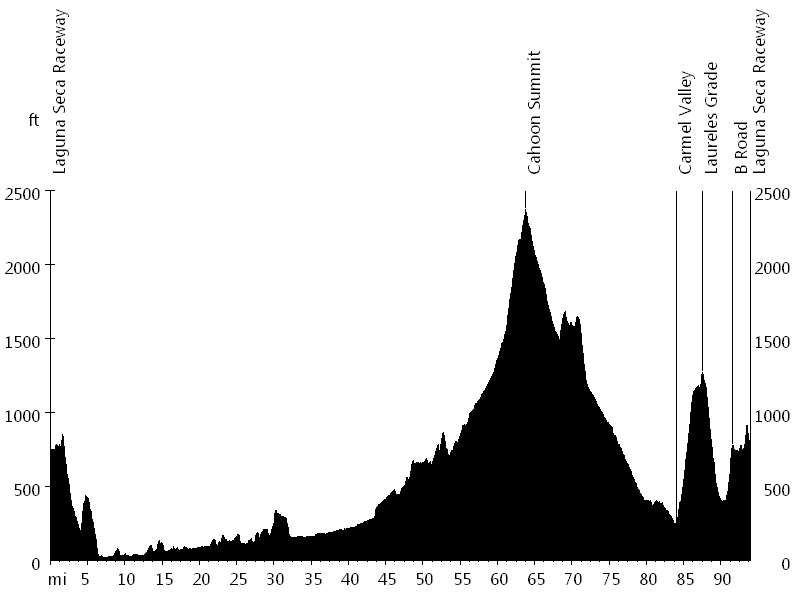 Around mile 50 the route gradually ascends to Cahoon Summit, the last few miles being timed. The route then descends to Carmel Valley Village, where it turns north on Laureles Grade, a three-mile steep climb, followed by B Road, a one-mile even steeper climb. Sandra, Lisa, and I had a great weekend. We met up with Alex R. from Chico, and I ran into Brian and Doris McQ. from Laguna Beach. Back on Laguna Seca Raceway, I added a 2-mile loop on the track, which includes the "Corkscrew", one of the motorsport world's most challenging turns due to the blind crest and apex on the uphill approach and its drop in elevation.